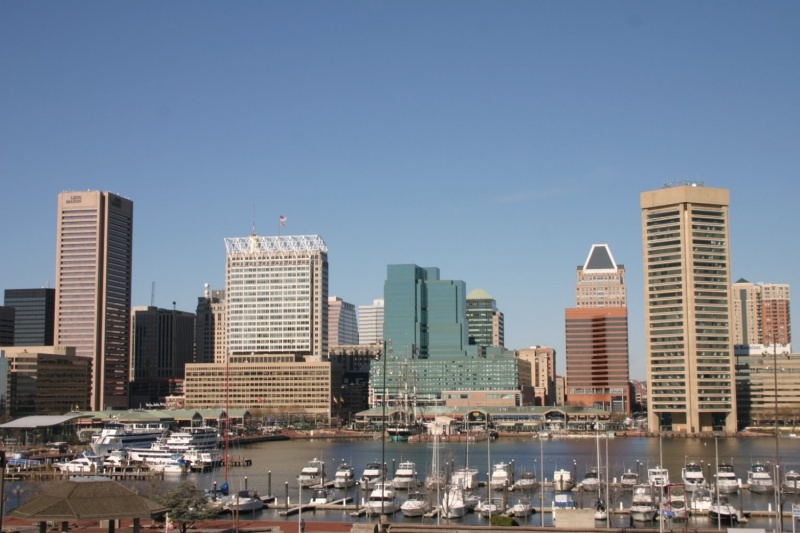 Here is an option if you're closer to the Inner Harbor. If you take Key Highway East after exiting I-95, you'll eventually see the Domino Sugar plant on your left. Right after you pass it there will be a left turn into a parking lot for the Under Armour buildings in North Locust Point, and if you are there during the weekend you should find plenty of parking. That is a good place to see bulk carriers discharging sugar. Fort Smallwood is a decent vantage point, but there can be long waits for vessels. Also, you need to always be aware of your surroundings there. I went in September 2014 specifically to photograph NS Savannah. As luck would have it, they had an open day with full access. May be worth a quick check. Also there was an old Liberty ship "John W Brown" was also open. I spent a couple of days in Baltimore many years ago, at that time I found the inner harbour very accessible and Fort McHenry offered some good views of ship movements. Also, there were a few excursion vessels offering harbour trips although did not have time to explore the commercial dock area much. Photo taken from Federal Hill, harbour excursions leave from the berths on the left of the photo.